Microsoft today released fifteen software updates to fix more than 70 unique security vulnerabilities in various flavors of itsWindows operating systems and supported software, including at least two zero-day bugs. These patches apply to Windows, Internet Explorer (IE) and Edge browsers, Office, Sharepoint and Exchange. Separately, Adobe has issued security updates for Acrobat/Reader andFlash Player. Adobe’s Patch Tuesday includes security updates for its Flash Player and AIR software, as well asAdobe Reader and Acrobat. 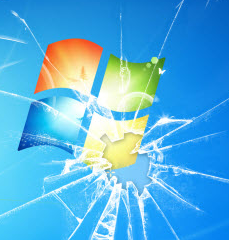 Chris Goettl, director of product management and security for security firmIvanti, said Windows users need to get any existing Shockwave installations out of their environments now. Windows 10likes to install patches all in one go and reboot your computer on its own schedule. Microsoft doesn’t make it easy for Windows 10 users to change this setting,but it is possible. For all other Windows OS users, if you’d rather be alerted to new updates when they’re available so you can choose when to install them, there’s a setting for that inWindows Update.